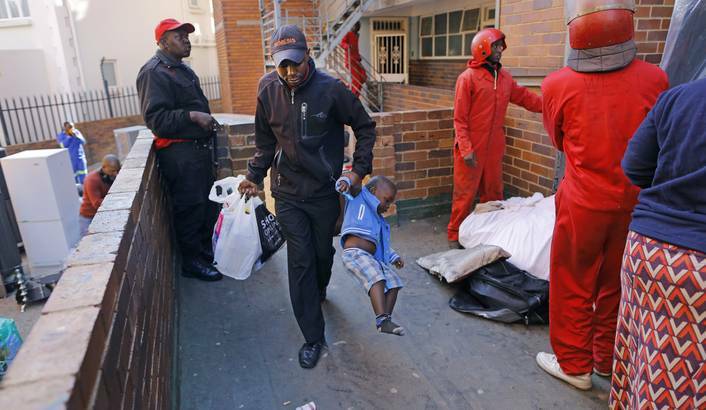 South Africa is 21 years into democracy, and many poor people are still without houses, basic services, and continue to routinely face inhumane evictions. Dysfunctional cooperative governance relations; a lack of capacity, and the ineffective application of policy, are some of the reasons for this, according to a report by the South African Human Rights Commission. KOKETSO MOETI unpacks some of the housing issues and recommendations of the commission. Earlier this year, Human Settlements Minister, Lindiwe Sisulu, said that “the delivery of houses has dropped by 25% over the past five years…” Apart from increasing urbanisation, this decrease is happening in a context in which homes are demolished, and we are shown pictures of distressed people, many with kids, and some on their own trying to protect their homes or collect their belongings. Other times, we are shown scenes of the notorious Red Ants evicting and carrying out people’s property, and can only imagine the trauma of not only losing one’s home, but also one’s belongings. Take the clearing of the Wilston Court building in Hillbrow in August, when at around 7:00am, the Red Ants came in and started throwing people’s belongings from the windows. Angelinah Mosweu, a 56-year old a cleaner at a South Point building in Braamfontein, was one of those people. Because she starts work early, she was not around when the eviction commenced, and got a call later that morning from one of the three other women with whom she shared a room. “I ran as fast as I could to get home, but by the time I got there, there were things laying everywhere”, says Mosweu. “People were looking for their things, while a group of young men were trying to take them”.